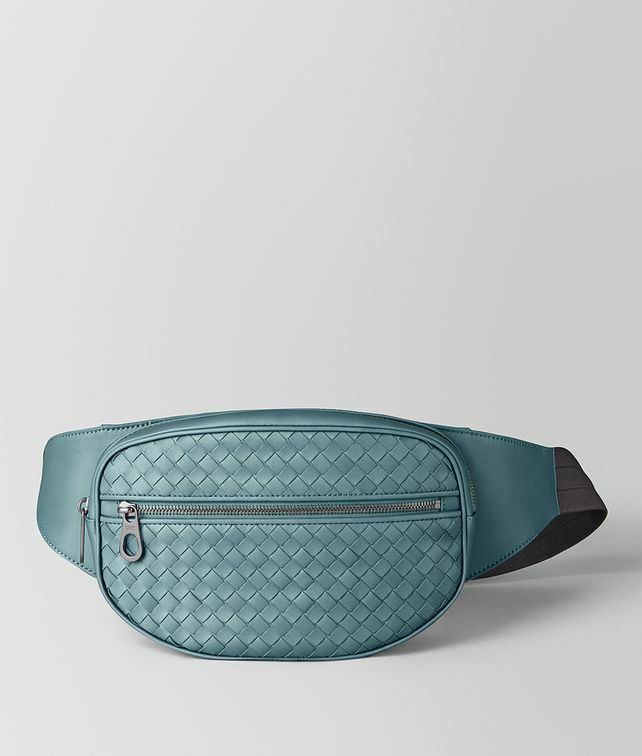 This belt bag is meticulously hand-woven from calf leather in iconic intrecciato and finished with an ergonomic nylon belt for comfortable wear. The practical design is softly padded at the back and complete with an accessible front pocket, top-zip fastening and interior smartphone pocket. Wear it around the waist or cross-body with the adjustable strap. Finished with signature brunito hardware.